Home > Archived VOTM > Volunteer with US! 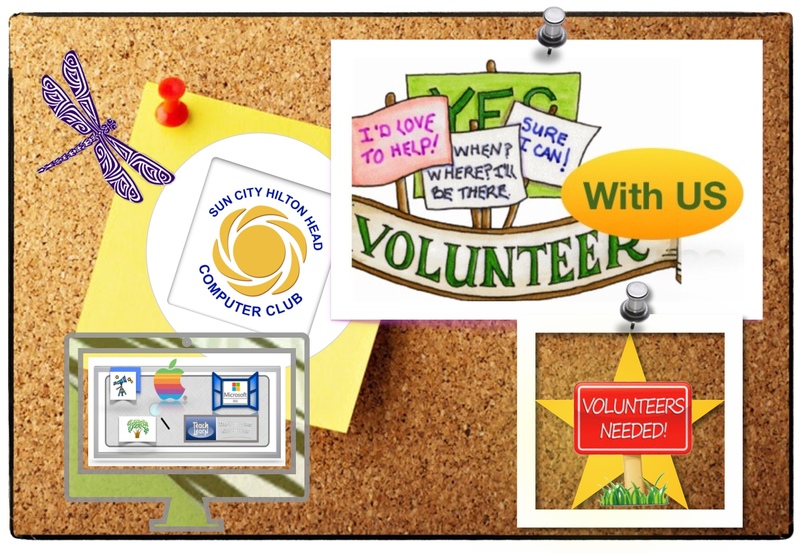 We are looking for Volunteers in the New Year! Have you been wondering how you would like to give back to your Community? If so, the Computer Club might be the very place that piques your interest. We Welcome YOU! Please come and share your computer/leadership skills in the fun, collegial and supportive environment of the Computer Club. Every member has something special to contribute in order to continue our mission to learn and grow in our state of the art Club. No experience is required for most of these opportunities – just a willingness to get involved in helping others. 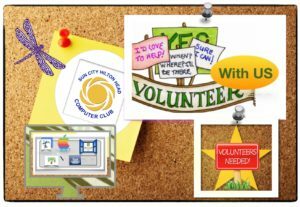 Training is usually provided for more involved volunteer roles. Here’s your chance to increase your skills while assisting others and your Club! If you would like to volunteer, but don’t know where you might fit in, check out these opportunities.